You might have seen the Buzzfeed article, had a friend mention it to you, or have heard me say a couple of times over the last couple of weeks that my Jam of the Week on our show was another podcast called Serial. What started out as a story produced for This American Life, a podcast produced by Ira Glass and co. from WBEZ Chicago, people all across the country are asking one question: who killed Hae Min Lee? So what exactly is Serial? Serial is a nonfiction podcast, which tells one story week by week, and is hosted and spearheaded by Sarah Koening, a longtime producer for This American Life, and a former journalist for The Baltimore Sun. So far nine episodes have been released, and with the Serial crew taking a Thanksgiving break, now is the perfect time to get caught up on the story. Remember: starting from Episode 1 is necessary. The people that make this story are the actual people the story is about; remember, no characters here. People have flocked to Reddit and all over trying to solve this crime, putting together theories, and being a major part of what’s happening online to drive the conversation about this story. That is what makes this series a huge must for me. Every week there’s another piece of evidence – a new challenge – that might throw a kink into my own theories or totally support them. And to be clear, while the situation at the heart of this story happened in the late 90s, it seems that new evidence and stories are taking shape weekly in this narrative. I highly recommend you take some time over the long weekend to listen to the current episodes, and check out what’s going on over at the Serial subreddit. Also, their website is a great resource for photos, copies of documents and letters, and an inside look at what’s going on with the production of the story. GO DOWNLOAD IT! 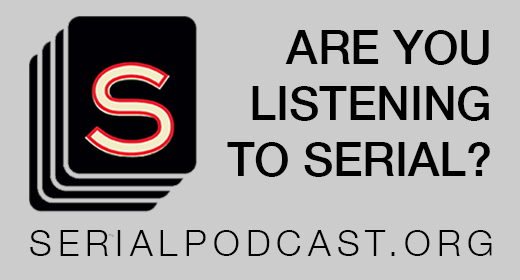 Visit serialpodcast.org for more information about the show. 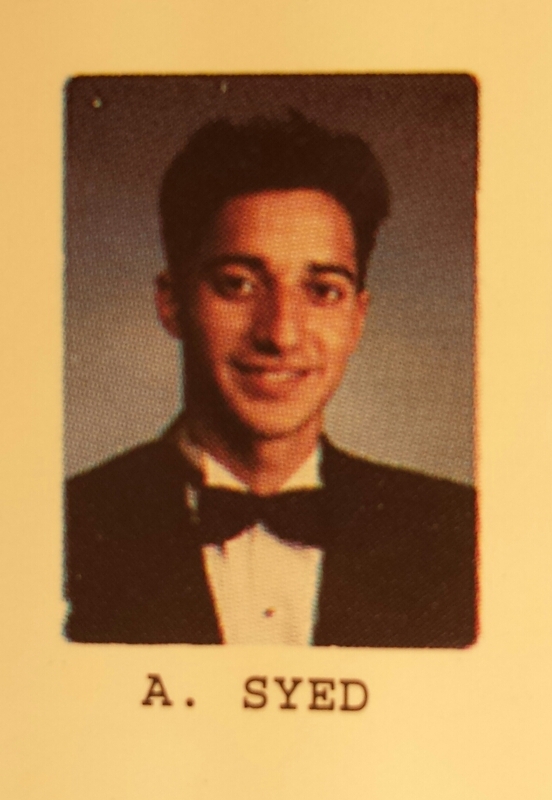 You can expect more from us about Serial, hopefully, on a future episode of the podcast! Courtney Greene liked this on Facebook.